TRI welcomes Carey Gilbert into the position of Co-Director of TRI's Child Development Center. She earned her Master of Education degree from Loyola University Maryland. Carey’s primary expertise is in Early Childhood Education, and she has worked in the field since 2005. Carey started at TRI in January of 2016. Carey has recently moved here from Southern Oregon, where she served Jackson and Josephine county children and families for fourteen years. 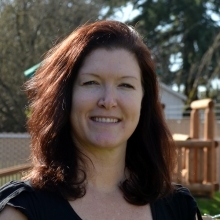 For the past five years, she has been the Site Director of Early Head Start Grants Pass and most recently Director of the Central Child Development Center in Independence,Oregon. Carey comes to us with significant skills in early childhood and administration. As Carey mentioned in an email to CDC families, "I am so thankful to have been given this opportunity to join this dynamic team of early childhood professionals here at Western Oregon University. I am dedicated to promoting safe, engaging environments, guided by responsive caregivers and intend to continue to develop TRI's Child Development Center as a place where staff, families, and children can all grow together." When not working, Carey enjoys camping, hiking, cycling and is currently into completing puzzles. TRI welcomes Annie Friedman as the new Project Coordinator for the Career Mentoring grant, funded through the Oregon Higher Education Coordinating Commission (HECC). This project is establishing a mentoring program at WOU that aligns career services, alumni relations and advising on campus. 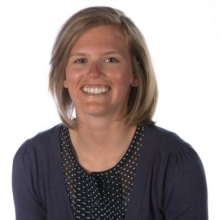 On a personal note, Annie is active in Ultimate Frisbee having served as the coach of the OSU Frisbee club and is currently serving on the board of the Corvallis Ultimate Frisbee Club, a non-profit fostering national and international amateur competitions. We are very excited to have Carey and Annie join the TRI family, and we look forward to their valuable contributions.